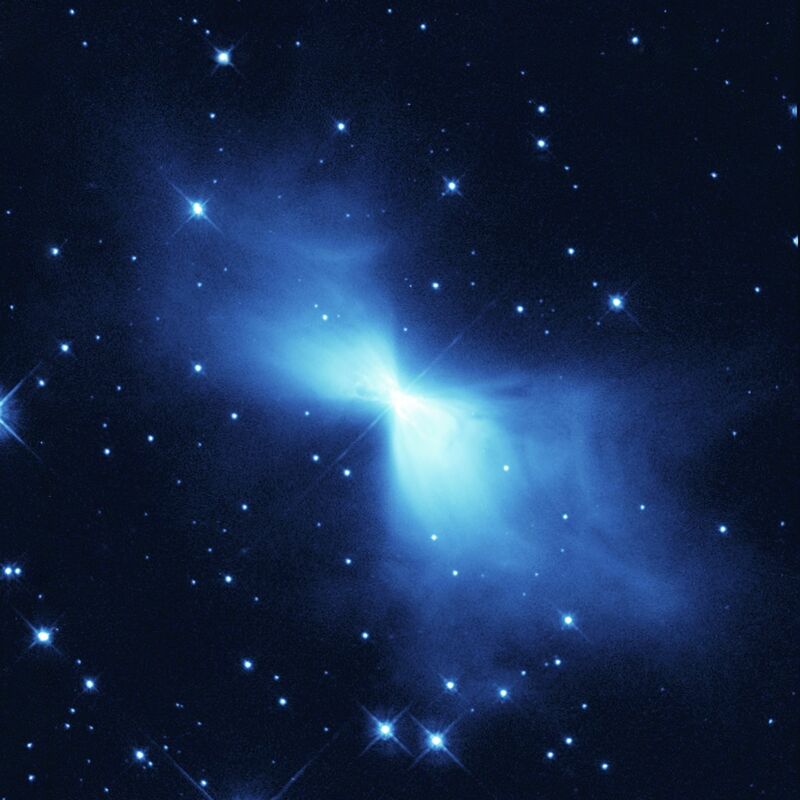 Explanation: A cold wind blows from the central star of the Boomerang Nebula. Seen here in a detailed false-color image recorded in 1998 by the Hubble Space Telescope, the nebula lies about 5,000 light-years away towards the grand southern constellation of Centaurus. The symmetric cloud appears to have been created by a high-speed wind of gas and dust blowing from an aging central star at speeds of nearly 600,000 kilometers per hour. This rapid expansion has cooled molecules in the nebular gas to about one degree above absolute zero - colder than even the cosmic background radiation - making it the coldest region observed in the distant Universe. 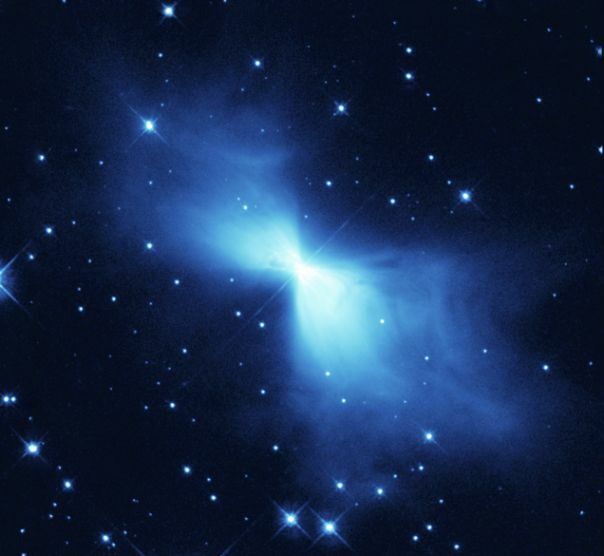 Shining with light from the central star reflected by dust, the frigid Boomerang Nebula is believed to be a star or stellar system evolving toward the planetary nebula phase.